Anastasia Grebovna grew up in Minsk, Belarus. She studied Russian poetry and classical guitar. Inspired by the writings and art of Nicholas Roerich, she began her spiritual quest at an early age. In 1998 she emigrated to the United States. 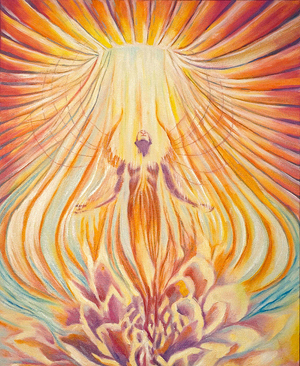 Here she traveled to Kripalu and Omega Institute where she had a chance to meet Alex Grey. 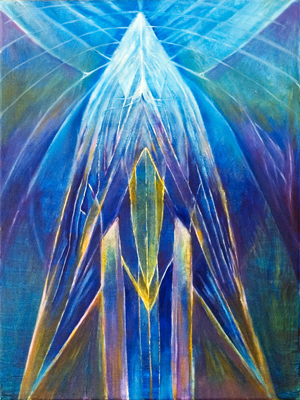 Shortly after the encounter, she created 50 color panels exploring the theme of death and immortality. 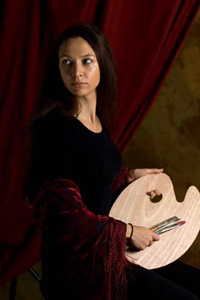 Upon receiving her arts degree, she traveled to Florence to explore painting and restoration techniques. In 2009, she was blessed to study with Brigid Marlin. currently, she travels between New York and Texas, painting and practising yoga. 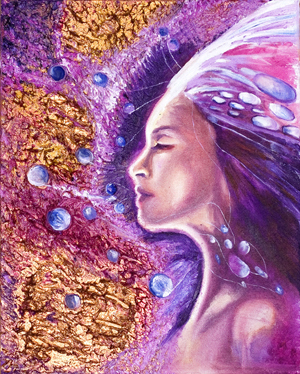 The intent of my art is to bring light and spiritual transformation into the world. 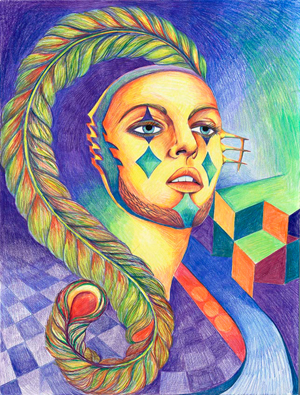 The images for my paintings come to me from meditation and observation of human form. By revealing the harmony and unity in elemental forms and shapes, my purpose is a healing one. It is designed to transfigure the human experience of life and death, and to awaken mankind to enlightening power of unity with the universe. 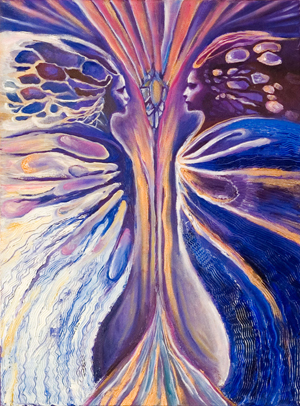 Deeply influenced by the concept of collective unconscious of Carl Jung, my paintings contain archetypal images and figures, such as Anima and Animum, Guiding Spirit and Persona. 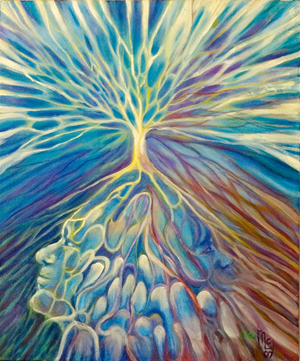 Exploring the relationships between different aspects of the Self, I approach painting intuitively. Each painting is a mirror, a bridge that connects people of all cultures, races and backgrounds.